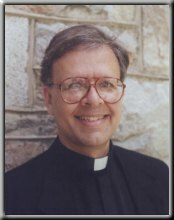 r. Ledoux is a priest of the Altoona-Johnstown Diocese in Pennsylvania. He sang in both high school and college choirs in Massachusetts, and became actively involved in church music while pursuing a graduate degree in French at Penn State University. There he cantored extensively at the local parish, and it was during this time that he co-authored with Gary Penkala "O Bright Morning Star" and the music listed below. Father Ledoux has a doctorate in Church History, is engaged in parish ministry in his diocese, and maintains an active interest in liturgical music.